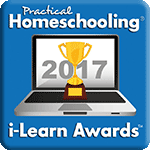 In both 2017 and 2018, Scholé Academy was voted #1 in online academies in Practical Homeschooling’s iLearn Awards. As our academy continues to grow, we are looking for talented and dedicated individuals to join our faculty! We have filled all of our teacher positions for the 2018–19 academic year, but we continue to seek tutors and substitute teachers for the subject areas listed below. It’s never too early to let us know you’re interested in teaching with us! Check out the Scholé Academy Tutoring Center for more information about our tutoring programs. If you are interested in joining our team as a tutor or a substitute, please review our Instructor Job Description and the Scholé Academy Student-Parent Handbook. Interested candidates should submit a résumé and brief letter of interest to scholesupport@classicalsubjects.com. Please be sure to include particular subject areas of qualification and interest. Tutors: We continue to offer tutoring services across a wide range of disciplines, including (but not limited to): mathematics, writing, grammar, Latin, Spanish, and logic. Be sure to check out the Scholé Academy Tutoring Center to see more about how our tutoring programs work. Please submit inquiries to scholesupport@classicalsubjects.com. Short and Long-Term Substitutes: We need substitutes! Short-term and long-term substitutes are needed for all disciplines. Please submit inquiries to scholesupport@classicalsubjects.com. Accepted substitute teachers earn $20 per course covered. Teachers: We hire teachers interested in providing just a class or two as well as those who would like to host a full load of classes. We are already on the lookout for 2019–2020 teacher candidates in all disciplines! We are looking for dynamic online math and science instructors. The ideal candidates should have an understanding and appreciation for classical Christian education and be familiar with our scholé pedagogical approach to learning. Additionally, candidates should have an expertise in upper-level mathematics, or physics, chemistry, or biology. The ideal mathematics candidate would be prepared to offer honors-level high school mathematics classes in some combination of the following: Euclidean geometry, Algebra 2, trigonometry, precalculus, or calculus. And the ideal science instructor candidate should be prepared to offer honors-level biology, chemistry, or physics courses; each course should include an online lab component. Classes will run three days per week, for 60–75 minutes per session. The final schedule for the courses will be made in collaboration with the instructor and taking into account his or her availability. Interested candidates should send a cover letter and résumé to Principal Joelle Hodge: jhodge@classicalsubjects.com. We are continuing to build and add depth to our long-running humanities courses as well. After reviewing our Instructor Job Description and the Scholé Academy Student-Parent Handbook, interested candidates should submit a résumé and brief letter of interest to scholesupport@classicalsubjects.com. Please be sure to include particular subject areas of qualification and interest. See all of the subject offerings we provide among the below options. Scholé Academy’s lower school Latin program is centered around the Latin for Children curriculum by Classical Academic Press. 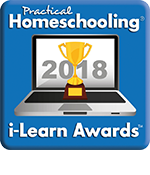 Since 2001, the award-winning Latin for Children curriculum has been and continues to be a strong, inviting, and creative program designed to introduce grammar school students to Latin. It incorporates elements that will engage students of every learning style. As a step beyond just an exposure to the language, this course trains students in grammar, vocabulary, and English derivatives in a lively, interactive way. For a closer look at the Latin for Children curriculum, please follow these links and click “Look Inside”: Latin for Children Primer A, Latin for Children Primer B, and Latin for Children Primer C.
Scholé Academy is seeking a Latin for Children instructor to join our lower school faculty and accommodate continued growth in these courses. Experience teaching Latin to lower school students is preferred. Candidates should be comfortable with (or be able to learn to use) online teaching platforms and learning management software. They should be able to integrate standard course textbooks with online teaching tools appropriate to each course offering. The Writing & Rhetoric series is a writing curriculum based on the progymnasmata (“preliminary exercises” designed to prepare students for rhetoric). The Writing & Rhetoric method employs fluent reading, careful listening, models for imitation, and progressive steps. It assumes that students learn best by reading excellent, whole-story examples of literature and by growing their skills through imitation. In this series, encounter all forms of modern composition—narrative, expository, descriptive, and persuasive—while at the same time developing unique rhetorical muscle. Scholé Academy is seeking a Writing & Rhetoric instructor to join our lower school faculty and accommodate continued growth in these courses. Experience teaching lower school students is preferred. Well-Ordered Language is a grammar curriculum that presents the study of language in a way that appeals to a child’s inborn curiosity and desire to collect, gather, and order. It teaches grammar in a clear, orderly way, while simultaneously seeking to cultivate a child’s wonder of language by presenting instruction in the context of narrative and language, attractive illustrations, and samples taken from classic children’s literature and poetry. This series is designed for students to actively engage with the grammatical concepts in each lesson, using language skills—reading, writing, speaking, and listening—along with physical movement, songs, and chants. Scholé Academy is seeking a lower school instructor to teach the first two levels in the Well-Ordered Language series. Experience teaching lower school students is preferred. Scholé Academy is seeking experienced, engaging upper school Latin instructors. Candidates should have an understanding not only of Latin an individual discipline, but also of how it functions in the larger tradition of a liberal arts education. Scholé Academy instructors should not only be astute in their passion for Latin, but also be able to help students learn to develop their own passion for the Latin language and Latin literature.The ideal candidate should have studied and earned a degree in Latin, Classics, or a related discipline. Candidates should be comfortable with (or be able to learn to use) online teaching platforms and learning management software. They should be able to integrate standard course textbooks with online teaching tools appropriate to each course offering. Our Latin 1 course provides students a clear introduction to Latin grammar and reading that aims to delight them and cultivate in them the wonder of language. Students study the 5 noun declensions and 4 verb conjugations; the present, imperfect, and future tenses; and other parts of speech (adjectives, prepositions, and adverbs). They begin studying and translating adapted, original Latin paragraphs featuring the Roman historian Livy. Students also learn some of the history and culture of ancient Rome. Latin 1 teaches over 300 Latin vocabulary words and imparts an understanding of many English words derived from Latin. Students use the award-winning Latin Alive! Book 1 text, the first of 4 books in the Latin Alive! series. Students in Scholé Academy’s Latin 2 course continue their study of Latin grammar and reading while finding delight in Latin language study. They review the 5 noun declensions and 4 verb conjugations; the past, present, and future tenses; and add all remaining parts of speech (pronouns, adjectives, prepositions, adverbs, and conjunctions). Students continue to translate the writings of original Latin authors from the Roman Empire period and learn some of the history and culture of ancient Rome. Students learn an additional 300+ words Latin vocabulary and many English derivatives. Students use the second of 4 books in the award-winning Latin Alive! series. Using the award-winning Latin Alive! Book 3, students review and complete their Latin grammar studies. This includes a more in-depth study of grammar concepts such as subjunctive mood, irregular nouns, the gerund and gerundive, impersonal verbs, conditional statements, and a study of different kinds of clauses (purpose, result, doubting, and fear). Building on Latin 1 & 2, students in Latin 3 continue to translate more advanced original Latin literature, much of which is taken from the medieval period. Students continue learning the history and culture of Roman and medieval society. Latin 3 also incorporates lessons on original Latin poetry and historical information about Latin poets. Students in Latin 4 spend most of their time reading and translating original Latin works that span the centuries, from Cicero’s Art of Friendship to Latin ecclesiastical writers (such as Augustine) to historians (such as Bede) to monarchs (such as Queen Elizabeth) to scientists (such as Isaac Newton). Students are guided through the study and translation of each text using Latin Alive! Reader, an annotated reader that will note unusual grammatical constructions, provide commentary on the grammar and content of each reading, and list questions for the discussion of each reading. Students expand their Latin vocabulary even more and gain increasing facility in the reading of original Latin and find the delight of reading profound authors in their own tongue. At Scholé Academy, logic courses are offered to have both principled and practical application. Logic instructors not only present the concepts, but also model how each can be applied towards one’s own thinking, writing, and personal development, all the while pointing students to the future study of rhetoric. Instructors should therefore have an understanding not only of logic an individual discipline, but also of how it functions in the larger tradition of a liberal arts education. Teachers are expected to enthusiastically enhance lessons, bringing some examples of their own practices to the classroom. Scholé Academy is seeking experienced, engaging logic instructors. Qualified instructors should either have experience teaching the course text (see below), be willing to consult with the author(s), and/or complete a corresponding ClassicalU teacher-training course prior to the start of the academic year. They should be comfortable with (or be able to learn to use) online teaching platforms and learning management software. They should be able to integrate standard course textbooks with online teaching tools appropriate to each course offering. Scholé Academy offers an informal logic course in which students study how reasoning goes wrong. It take students through the most common fallacies, classified in three major groups: 1) fallacies of relevance, 2) fallacies of presupposition, and 3) fallacies of clarity. Studying with the award-winning text The Art of Argument, students trace the way fallacies creep into (and sometimes infest) advertising, news reporting, political debate and discussion, and debate about every topic imaginable. After completing the text, students go on to apply their understanding to current events through writing and a final project. In our Formal Logic course, students work through The Discovery of Deduction, an award-winning text which is clear and incremental, and shows students how deductive logic is applied in various disciplines and in everyday life (from The Adventures of Sherlock Holmes to scientific and ethical arguments). The course takes students through a study of propositions and categorical form, the traditional “square of opposition,” syllogisms, and testing for validity. In Scholé Academy’s rhetoric courses, students are introduced to the 5 canons of rhetoric: invention, arrangement, style, memory, and delivery. Special attention is given to the study of invention (gathering and inventing one’s arguments), arrangement (structuring one’s arguments in a sequence of elements for maximum persuasion), and style (enhancing one’s writing with sentence and word arrangements and turns of phrase that please and delight the listener). Students also begin the study of great examples of rhetoric and learn how to “imitate the masters.” Students then compose and deliver their own ceremonial and political speeches, eventually leading to a senior thesis project. Scholé Academy is seeking experienced, engaging rhetoric instructors. Qualified instructors should have a background in teaching rhetoric or a related discipline and be comfortable with (or able to learn to use) online teaching platforms and learning management software. They should be able to integrate standard course textbooks with online teaching tools appropriate to each course offering. Scholé Academy’s Literature program seeks to provide assistance to students and parents as they navigate the labyrinth of literary choices. Using a Great Books approach, Scholé Academy introduces high school students to a selection of the classics—the best, most beautiful, and most influential books of Western Civilization. While studying these classics, students also explore the ideas, events, and the cast of characters that molded the social, political, religious, scientific, economic, and technological history of the era studied. Scholé Academy instructors should not only be astute in their passion for literature, but also be able to help students learn to develop their own passion and perspectives related to critical analysis, supporting assertions with appropriate evidence, or moving from observation to mature interpretation, with a distinctly “classical” approach. Students are challenged to offer opinions and insights in class discussions. Communicating effectively through the written word is also an important aspect of the students’ work, and these courses offer students writing assignments to foster their development as literary writers. Scholé Academy literature courses feature deep engagement with select great works of literature, but also include some exposure to history, noting the necessary integration of these two genres. Scholé Academy is seeking experienced, engaging literature instructors. Qualified instructors should have earned a degree in Literature, English Composition, or a related discipline. A background in teaching literature at the high school or college level is preferred. Applications should be familiar with the classical tradition and classical pedagogy (including the Socratic method), and be comfortable with (or able to learn to use) online teaching platforms and learning management software. They should be able to integrate standard course textbooks with online teaching tools appropriate to each course offering. At Scholé Academy, the study of history involves much more than simply memorizing facts; it requires both analysis and investigation as we seek to understand why our predecessors made the decisions they did. Students are required to learn not only key dates, figures, eras, and tides of history, but more importantly to engage in a socratic exchange of ideas and to cultivate an understanding of the ‘whys’ and ‘hows’ inherent in the narratives being studied. Students are required to read frequently in history courses. A variety of texts are utilized to help students make connections and understand the human experience. These readings include primary and secondary sources, historical documents, charts, graphs, maps, as well as relevant literature. Students are challenged to offer opinions and insights in class discussions and more formal debates. Communicating effectively through the written word is also an important aspect of the students’ work, and students are given writing assignments throughout the course to aid their development as historical writers. Scholé Academy is seeking experienced, engaging history instructors. Experience teaching at the high school or college level is preferred. Qualified instructors should have studied and earned a degree in History, Political Science or a related discipline, be familiar with the classical tradition and classical pedagogy (including the Socratic method), and be comfortable with (or able to learn to use) online teaching platforms and learning management software. They should be able to integrate standard course texts with online teaching tools appropriate for each course offering. Strong candidates should not only have a passion for history and be astute in their area of focus, providing information, but, more importantly, they should provide students with instruction to connect the common themes from past to present times and guide students in develop their own perspective about these relationships. Our courses are presented with a distinctively “classical” pedagogical approach. Students are required to not only arrive at the correct answers, but more importantly, to arrive at the correct answer by evidencing the correct process being studied. It is the student’s process that is most heavily considered, not merely the final answer. Scholé Academy is seeking experienced, engaging mathematics instructors, with three or more years of experience teaching at the high school or college level. The ideal candidate should have studied and earned a degree in mathematics or a related discipline. Applicants should be comfortable with (or able to learn to use) online teaching platforms and learning management software. They should be able to integrate standard course textbooks with online teaching tools appropriate for each course offering. Scholé Academy would be willing to collaborate with new hires (and other math faculty) to determine the preferred curriculum, scope, and sequence of the courses. Pre-Algebra is an introduction to basic algebra concepts and a review of arithmetic relationships. The course emphasizes the concepts necessary to be successful in Algebra 1 and Algebra 2. The course helps students develop good mathematical study skills and deductive reasoning as they develop their problem-solving strategies. Students explore algebraic expressions and integers, solve one-step equations and inequalities, decimals and equations, factors, fractions, exponents, operations with fractions, ratios, proportions, percents, linear functions and graphing, spatial thinking, area and volume. This course also continues a study order of operations, variables, expressions, explore geometry, statistics, and graphing concepts. Algebra 1 is designed to give students a foundation for all future mathematics courses. The course helps students develop good mathematical study skills and deductive reasoning as they develop their problem-solving strategies. The fundamentals of algebraic problem-solving are explained. Students explore: foundations of Algebra, solving equations, solving inequalities, an introduction to functions, linear functions, systems of equations and inequalities, exponents and exponential functions, polynomials and factoring, quadratic functions and equations, radical expressions and equations, and data analysis and probability. Additionally, students learn how to apply the learned concepts in real-life situations. In Geometry students further hone their deductive reasoning skills, as they continue to develop their mathematical problem-solving strategies. This course is designed to emphasize the study of the properties and applications of common geometric figures in two and three dimensions. It includes an in-depth analysis of plane, solid, and coordinate geometry as they relate to both abstract mathematical concepts as well as real-world problem situations. Geometry includes the study of transformations and right triangle trigonometry. Both inductive and deductive thinking skills are used in problem solving situations, and applications to the real world are stressed. Much like a course in propositional logic, Geometry also emphasizes writing proofs to solve (prove) properties of geometric figures. For students who have successfully completed a course like The Discovery of Deduction, Geometry provides an opportunity for those foundational deductive concepts to be more fully developed. The Algebra 2 course is designed to emphasize the studies of linear functions and equations, quadratic and polynomial equations with real and complex solutions, exponential and logarithmic equations and functions, transformations, rational expressions, systems of equations, matrices, probability including permutations and combinations, sequences and series, conics, and trigonometry through advanced trigonometric identities. Students enrolled in this course will need access to a graphing calculator on a regular basis. A TI-84 series graphing calculator is strongly recommended. The Pre-Calculus course is designed to emphasize the more advanced concepts common to college algebra, advanced trigonometry, and analytic geometry of two and three dimensions. Topics range from polynomial, rational, and exponential functions to conic sections. Trigonometry concepts such as Law of Sines and Cosines will be introduced. Students then begin analytic geometry and calculus concepts such as limits, derivatives, and integrals. Students enrolled in this course will need access to a graphing calculator on a regular basis. A TI-84 series graphing calculator is strongly recommended. Students should be able to work with functions represented in a variety of ways: graphical, numerical, analytical, or verbal­. They should understand the connections among these representations­. Students should understand the meaning of the derivative in terms of a rate of change and local linear approximation, and should be able to use derivatives to solve a variety of problems. Students should understand the meaning of the definite integral both as a limit of Riemann sums and as the net accumulation of change, and should be able to use integrals to solve a variety of problems. Students should understand the relationship between the derivative and the definite integral as expressed in both parts of the Fundamental Theorem of Calculus. Students should be able to communicate mathematics and explain solutions to problems both verbally and in written sentences. Students should be able to model a written description of a physical situation with a function, a differential equation, or an integral. Students should be able to use technology to help solve problems, experiment, interpret results, and support conclusions. Students should be able to determine the reasonableness of solutions, including sign, size, relative accuracy, and units of measurement. Students should develop an appreciation of calculus as a coherent body of knowledge and as a human accomplishment. Our courses are presented with a distinctively “classical” pedagogical approach. Students are required not only to arrive at the correct answers, but also and more importantly to arrive at the correct answers by evidencing the correct process being studied. As models for students to imitate, Scholé Academy instructors help students value the life of the mind, reverence the Bible as is its due, love and desire God, love one another, value integrated learning across the disciplines, develop humility and self-discipline, cultivate a teachable attitude, defer to others, respect authority, desire holiness, be zealous for Truth and true doctrine, oppose anti-Christian ideologies (specifically: materialism, naturalism, scientism, skepticism, relativism), work diligently, follow through, and practice study as an act of worship and service to God. Scholé Academy is seeking engaging science instructors; experience teaching at the high school or college level is preferred. Qualified instructors should have studied and earned a degree in the natural sciences or a related discipline and be comfortable with (or able to learn to use) online teaching platforms and learning management software. They should be able to integrate standard course textbooks with online teaching tools appropriate for each course offering. Scholé Academy would be willing to collaborate with the new hire (and other science faculty) to determine the preferred curriculum and scope and sequence of our science courses. Scholé Academy’s Earth Science course is designed to introduce high school students to the Earth sciences and teach them to interpret and understand the world around them. In this course, students investigate and study the interactions between the Earth’s four major spheres—the geosphere, atmosphere, hydrosphere, and biosphere—in order to explain Earth’s formation, processes, history, landscapes, how and why Earth changes over time. The course also explores how ecology and the environment are shaped by the current actions of man and his impact on the Earth’s spheres. Students will explore and debate the environmental and political issues regarding Earth’s local and global changes. Topics to be addressed include, but are not limited to, the scientific method, mapping Earth’s surface, minerals, rocks, plate tectonics, earthquakes, volcanoes, geologic time, and meteorology. In this course, students become actively involved in classroom and laboratory learning experiences. They are also involved in exploratory, experimental, and open-ended learning experiences with an in-depth study of material. Scholé Academy Earth science students use and develop the following skills: 1) problem-seeking and problem-solving, 2) independent inquiry based learning, 3) participation in scholarly and creative processes, 4) reading and understanding scientific material, 5) use of imagination, 6) critical analysis and application, 7) learning to express/defend ideas, and 8) and becoming an initiator of learning. Students in the Earth science course participate in laboratory exercises, small group activities, web based investigations, and class discussions. Students also prepare in-class and independent projects involving some research, reading, and writing to effectively communicate their ideas. Scholé Academy’s Biology course gives students a comprehensive background in biology, helping them understand the place of humans in the living world and the importance of the biological sciences in everyday life, as well as preparing them for further study in biology at the college level. This course covers the major topics of high school biology, including the major life processes at a cellular and organism level, the continuation and continuity of life, the development of new life forms, the energy flow within the organism and within the ecosystem, and the interrelationships of all living things. The lab work consists of a variety of hands-on activities using such instruments as the microscope and computer, and relates directly to the students’ classroom work. Students are taught various areas of scientific theory, including terminology, facts, concepts, methods, and theories intertwining the unifying themes of structure and function, universality versus diversity, equilibrium within systems, and evolutionary theory. Students apply their knowledge of biological theory through methodical experimentation. The practice of the scientific method in these inquiry-based investigations challenges students to collaborate and communicate effectively. In this course, students learn to integrate the use of technology, analytical skills, problem solving behaviors, interdisciplinary concepts, and global thinking. Nota Bene: Scholé Academy explores theories of creation and evolution by presenting arguments supporting evolutionary theory as part of Intelligent Design as well as arguments supporting a stricter interpretation of Creationism. As it is an academic course, Scholé Academy’s Biology students will be exposed to the primary arguments on all sides of this debate. Scholé Academy’s Chemistry course covers the major topics of traditional high school chemistry such as the atomic theory of matter, the periodic table, chemical reactions, mass-mass and volume-volume relations in chemical reactions, acids and bases, and the kinetic theory of matter. The mathematical aspects of these topics are emphasized throughout the course. The lab work consists of hands-on experiments using the major tools of the chemistry lab, and is a major part of the course work. Students often complete labs with a minimum of direction to develop their ability to work safely and independently in the lab. Class discussions, frequent quizzes, and periodic tests help the students and instructor monitor understanding and progress. Scholé Academy’s Physics course builds on and summarizes the material of the earlier science courses, giving a fuller, more complete explanation of many of the previously studied topics as well as introducing the major areas unique to this subject. As in all of the science courses taught at Scholé Academy, the goal is to give students an understanding of the subject and how it relates to their daily lives, as well as the ability and desire for further study in science. This course covers the topics of traditional high school physics courses such as classical mechanics, forces and energy (heat, sound, light, electrical), and new discoveries and theories. Topics are introduced and learned first by studying concepts. These topics are expanded utilizing mathematical applications and explanations. Through lab work and a variety of hands-on activities, students discover, study, and see illustrated many of the major underlying principles of the physical sciences. Lab safety and independent work are stressed.